"Your necklace hanging from my neck. Two paper airplanes flying, flying." Taylor Swift released her new track "Out of the Woods" last night, and if you're a real, breathing human than you've probably spent the last 10 hours singing "Are we out of the woods yet?" over and over again. If not, crawl up out of that rock you've been living under because THE SONG IS GOLDEN. While the entire world has been speculating about whether the song is about her ex Harry Styles, the lyrics seem to point to one big resounding YES. Speaking of paper airplanes, if you flashback to 2012 you'll remember a time when Harry Styles wore his paper plane necklace everywhere he went. Remember when @Harry_Styles would always wear his paper plane necklace ???? 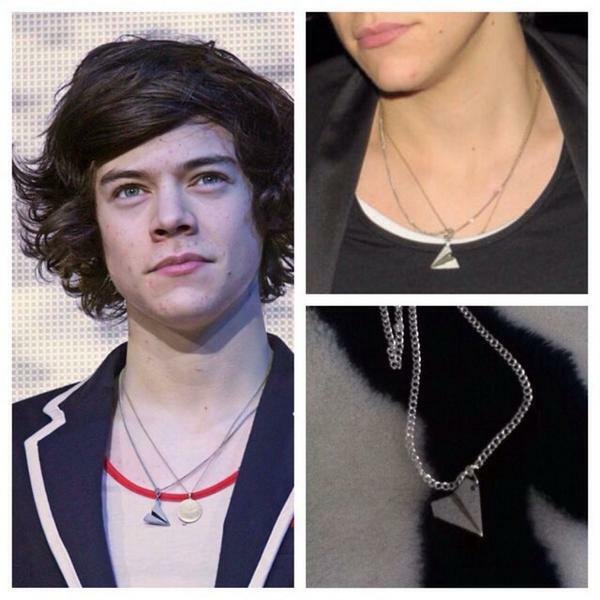 And one of the first signs of the duo dating was when Taylor popped up wearing Harry's PAPER PLANE NECKLACE. "Your necklace hanging from my neck"
Misson solved. Case closed. Mind blown. Buy Taylor's incredible new song "Out of the Woods" on iTunes here.